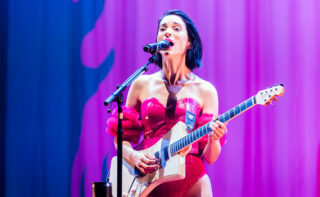 Having built a catalogue of impressive records, presented them in increasingly accomplished live realisations and amassed a mantlepieceful of awards for her work along the way, Annie Clark has now reached the point in her career as St Vincent where she can do whatever she likes and interest will follow. What she’s done with that freedom, however, is unexpected: tonight, for 90 minutes, she stands with her guitar, static and alone, and sings along to studio-prepared mp3s that boom from the speakers, each one stripped of its lead vocal and lead guitar part so that Clark can re-insert herself, live and note-perfect, at the appropriate moment. Backdrops and video screens change behind her; lights flash around her; her stage costumes are unimaginably glamorous. 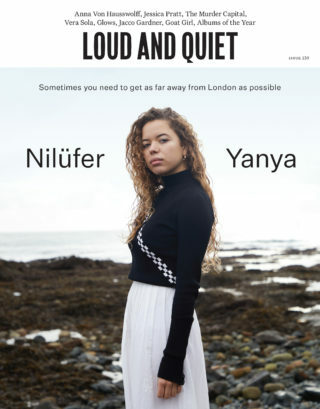 The show, however, is barely alive: this is pop music as homeopathy, attempting to convince an audience that ever-smaller doses of live performance deliver an ever-increasing punch. The first half is the more peculiar. Clark initially appears in the crack of a curtain and then, over a period of half an hour, an entirely empty stage is revealed little by little as more of the curtain is drawn back after each song. 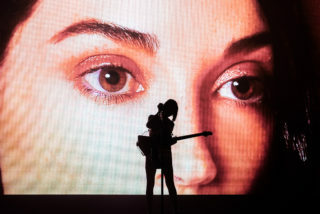 At first, the concealment suggests the existence of a band behind; by the time it’s fully drawn back, though, the backing track’s eerie precision simply reinforces the emptiness and isolated position of St Vincent, and serves as a reminder, frustratingly, of what you aren’t seeing. 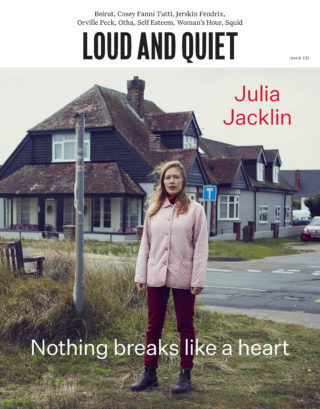 The message is clear though: Clark wants no company but her own – even the faces of the stagehands swapping her guitars are covered by balaclavas. 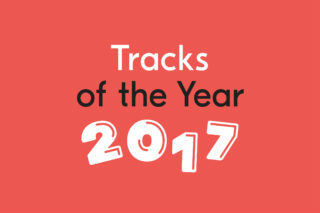 The second half constitutes a straight playback of ‘Masseduction’, heaping the predictability of song order upon the mechanisation of each song’s delivery, as if goading an audience already witnessing a show entirely on rails to react, one way or the other, to its deliberately phony status. They do, in both directions: as the audience starts to thin out, rapt fans simultaneously declare their love. There are moments of humour. “I can’t even express my joy at being here,” Clark exclaims in absurdist deadpan at one point, like some darkly comic, semi-lobotomised Chuck Palahniuk character; at another, the arse cheeks from the front cover of ‘Masseduction’ scroll slowly past on the huge screen behind her, giving a sort of pantomime “it’s behind you!” impression of the singer being mooned by her own visuals. 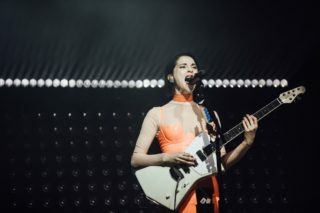 The vast majority, however, is austere, severe and aloof: St Vincent as the self-appointed fulcrum to this damning deconstruction of the very essence of what constitutes a “gig”. 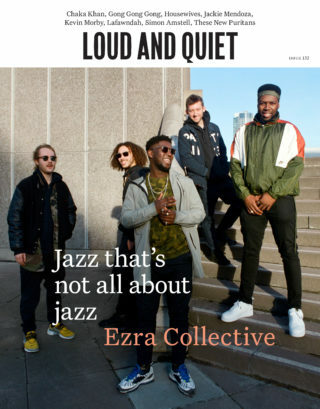 Plenty of pop stars before Clark have bemoaned the rockist “authenticity” cliché – no costumes, four-piece band – for simply masquerading as a euphemism for the absence of a performance concept. What Clark presents tonight, however, is nothing more than thinly conceived minimalism masquerading as exactly the same. That’s a shame – is this depthless karaoke session really the best way Clark can think to express the rich, gnawing, provocative and communicative songs on ‘Masseduction’ to 5,000 people standing in front of her? We must assume so – after all, the last ten years or so have proved her as a thoughtful and conscientious artist, regardless of the subjective value of the work. 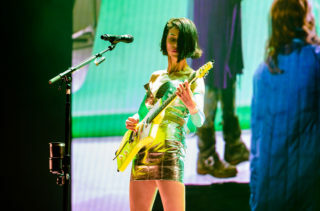 That doesn’t make her decisions any less baffling though: tonight, St Vincent is holographic to the point of redundancy, and while that ghostly presence is sporadically intriguing, there’s little artistic heft, conceptually or musically. This is the sort of show that will provoke as many proclamations of genius as it does pseud, and one can only imagine that sort of division is exactly as Clark intended. Either way, though, “mass seduction” has never appeared so repellant.